As the weather heats up and families migrate outdoors, winter toys are traded in for sunscreen and sand pails. The summer months promise warm days and one of the most anticipated nights: the Fourth of July. While fireworks are a summertime favorite, if not used safely, this fun activity may result in severe injuries. Dr. Jonathan Thomas, Family Physician on the medical staff at Centennial Medical Center in Frisco, Texas, answers several questions about fireworks safety. Q: How can fireworks be dangerous? If not handled properly, fireworks can cause severe injuries to eyes and skin. Even just watching a friend light fireworks can put you at risk. According to the U.S. Consumer Product Safety Commission, more than 9,000 fireworks-related injuries happen each year. Of these, nearly half are head-related injuries. Nearly thirty percent of these are injuries to the eyes, one-quarter of which result in permanent vision loss or blindness. Children under the age of fifteen account for half of all fireworks eye injuries in the United States. Q: How do you safely handle fireworks? The best way to protect your family is not to use fireworks at home, and instead attending a public fireworks display. If you or a friend chooses to use fireworks, make sure to only use fireworks outdoors and keep children and spectators at a safe distance. All users of fireworks should use eye protection goggles and should never wear loose clothing. Never use fireworks indoors or near dry grass. Point fireworks away from brush, homes or other people. Always have a fire extinguisher, bucket of water and a phone on hand in case of emergency. In addition, obey your local firework laws and never use homemade fireworks or illegal explosives as these cause severe harm. 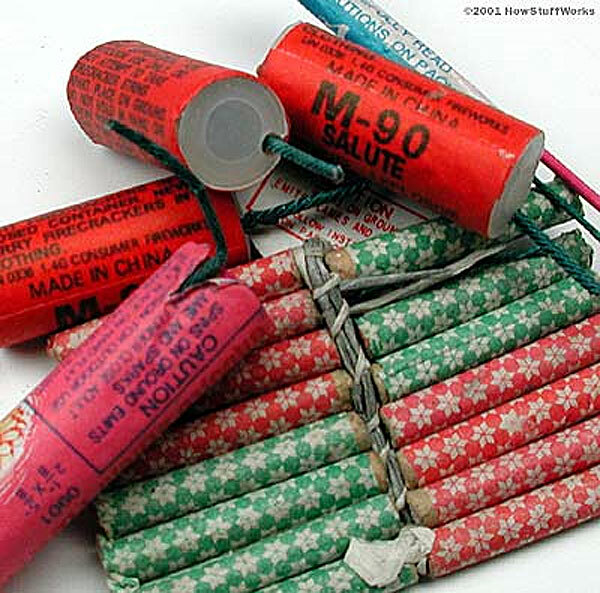 Report use of illegal explosives to the fire or police department in your community. Q: Are fireworks sold in the grocery store safe? Even fireworks sold at a grocery store, such as sparklers or other small novelties, are just as dangerous. Sparklers, which can burn at up to 2,000 degrees Fahrenheit, accounted for 800 injuries in 2008. Firecrackers and bottle rockets that explode near a person may cause injury to the hands or face. Q: At what age is it safe to handle fireworks? Children fourteen and older may handle fireworks, but only with adult supervision at all times. Children should not handle fireworks unattended under any circumstance. Do not allow any running or horseplay with fireworks. Children should always point fireworks away from the face or eyes. Young children should not hold sparklers or bottle rockets. Instead of using sparklers, consider providing young children with safer alternatives like glow sticks. Q: What steps should be taken if someone suffers a burn from a firework? If there is a burn on the skin, the parent should remove any clothing from the burned area and run cool water (not cold water), over the burn. Do not apply ice as that may make the burn worse. If an eye injury occurs, put a barrier over the eye such as a piece of clean clothing or the bottom of a paper cup. Do not flush the eye with water or touch the eye and immediately seek medical attention. Q: What should a parent or adult look for to decide if a burn needs medical attention? Any reddening or blistering of the skin, as well as any injuries involving the head or neck should be evaluated by a physician immediately.